When in the cover mode, you can pull it on top of your Uuni 3 to protect it from the elements. It has been life tested in Scotland - arguably one of the most demanding environments known to man. A sleek and weather-resistant 2-in-1 cover and carry bag. Take Uuni 3 to the beach, a friend's house or camping when in bag mode. 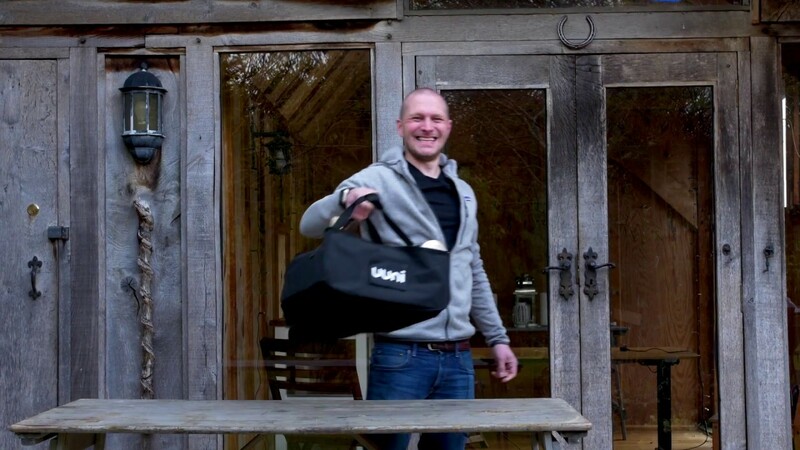 Protect Uuni 3 from the elements and garden debris when in cover mode.